As a Student of Bachelor of Business Administration (BBA) everyone has to conduct a practical orientation in any organization for fulfilling the requirements of the 12 weeks Internship Program. The main purpose of the program is to expose the students to the real world situation. This report is done as a partial requirement of the internship program for the BBA students. This report is prepared for the internship program consisting of a major in depth study of the Classic Fashion concept Ltd. Practical knowledge is fundamental for the application of theoretical Intel hence bearing this in mind and internship program was being included in the BBA curriculum. The goal of this analysis is to expose the student in the organizational work situation and also to provide an opportunity for applying classroom learning in practice. There are some difference between theories and practice. This report is done as partial requirements of the 3 months internship program for the BBA students of Finance Department, the Green University of Bangladesh (GUB). During my internship period I joined Classic Fashion Concept Ltd. at Banani branch in Dhaka. The chairperson of the internship and placement Committee advised to prepare reports on our assigned jobs after the completion of the Internship in the respective organizations. The title of the report is ‘‘Performance Appraisal of classic Fashion concept Ltd’’. In order to fulfill the requirements of the internship program it has chosen Classic Group Ltd the Hr department of Classic Group placed me to its Head Office at Banani branch in Dhaka. The overall topic of the report has been given by course instructor done my internship in classic Fashion Concept Ltd, Banani branch. During this period I tried to get familiarize myself with the theoretical concept and practical process of accounts and financial activities in Classic Fashion concept Ltd. The primary of this objective of this report is too familiar with the working environment of present institutions and also fulfill the requirement of BBA theoretical knowledge gained from the coursework of the BBA program in a specific field. To understand and analyze the over all performance appraisal activities of Classic Fashion Concept Ltd.
To evaluate the total export, import and remittance of Classic Fashion Concept Ltd.
To study the operational efficiency of Classic Fashion Concept Ltd.
To write a report is necessary to select a topic .A well defined topic reflect what is going on to be discussed thought on the report the topic that has been assigned by supervision is ‘‘Performance Appraisal of Classic Fashion Concept Ltd ’’. The topic has discussed Overview the current procedure of export and remittance management. The study requires various types of information past and present policies, procedures and methods of performance appraisal activities. Both primary and secondary data available have been used in preparing this report. Personal discussion with the Sr. accounts officer and merchandiser of Classic Fashion Concept Ltd. Personal Interview with the Buyers. Annual report, Publications, Training materials of Classic Fashion Concept Ltd.
Periodical statements of the Beak, Brochures, Booklets etc. And carefully developed, disguised queries, trend and growth rate analysis, graphical presentation such pie chart, bar, graphs have been used ; Raw data collected from various sources required to be processed, edited for the purpose of the study. For this study mainly secondary source of data had been relied on, because secondary data can be an immediate and cost effective means to gaining valuable insight into research issues, provided that the information comes from reliable and timely sources. Its sample was small and no representative. The research has been started with secondary data and preceded to primary data only. An analytical approach has been followed to conclude the decisions. At last the study tries to give a compressive picture of the Garments sectors are Annual report of Classic Fashion Concept Ltd. This report covers the performance appraisal of Classic Fashion Concept Ltd. , Organizational over view, Management and organizational structure functions performed by Classic Fashion Concept Ltd. The one of the main limitations of the research paper was company internal information is not found them easily. Deficiencies in data required for the study. Time provided for conducting the study is another important constraint. The employees in Classic Fashion are so much busy in their responsible fields, they could hardly provide little time to discuss with them. Being the biggest contributor to the country’s foreign exchange- around 76 percent- and employing around 2.2 million people, 80 percent of them women, the importance of nurturing a sector as vibrant and thriving as the garments industry, cannot be emphasized enough. With export of Ready Made Garments (RMG) reaching 9.2 billion in 2007 and predictions of it rising to 12 billion or more in the next two years, it is obvious that the industry is growing at an exponential speed. Greater demand for our garments abroad indicates the improvement in quality of the products as well as greater customer confidence, which translates to further expansion of the industry, more employment, more consumers in the domestic market and a huge boost to the economy. However, there are many jolts and stumbles along the road to economic freedom and overcoming them will determine whether we can sustain the boom that is waiting to happen. It is like entering ‘garment utopia’. Greenery adorns the tall shiny building; a gushing fountain greets the visitor as birds chirp away in the swaying, leafy trees. It is lunchtime and scores of young men and women walk towards an area where the food is being served while others stroll out for a quick meeting with their families living close by. Still others go to the child-care unit to nurse their children or just say hello to their kids. Inside the building, everything is squeaky clean, the executive offices, glass walls, even the factory floors where state-of-the-art machinery add to the sophisticated process of making each garment. After lunch, we are taken on tour of the different units – dyeing, spinning, cutting, stitching and so on. Hundreds of workers wearing colorful masks can be seen feverishly operating the sewing machines, sorting, cutting fabric, sewing on various parts of the garment that will end up in some fancy store in downtown London or New York or some other trendy American or European city. The masks are to protect the workers against cloth dust and supervisors strictly enforce this practice. Health and safety of the workers are a major priority: the floors are clean and airy with proper emergency exits, fire extinguishers and warnings about wearing safety gear such as gum boots in the washing unit and metal gloves for the cutters. A fulltime doctor is on duty at the medical unit, which is again, clean and has two beds for workers who may fall ill while on the job. The industry is growing at an exponential speed. This is a factory in Kaliakor, around 50 km from Dhaka, owned by Far East Knitting and Dyeing Industries Limited and gives a glimpse of what the future can be like for this industry. Many other factories that line the road next to this factory are as modern as this one, says the company’s director, Mohammed Bin Quasem, an entrepreneur who is quite fanatical about bringing innovations to improve efficiency, productivity and quality. One of the biggest hurdles a garments factory owner has to cross is reducing lead time — the turnaround time from receipt of an order to the delivery of a product as this is a key factor in staying competitive in a market where giants like China and India can deliver products to international markets far more quickly than Bangladesh which has the longest lead-time amongst its competitors. A short lead-time is crucial in a market that moves according to latest fashion trends, which keep changing all the time. Far East’s strategy has been to charter a plane from Germany that could load the goods on Saturday and deliver them in London on Sunday. “Our buyers were very happy and we were getting orders for a 100,000 extra pieces every week!” Quasem adds that by now Bangladesh’s garments are well known internationally for their high quality in fabric, stitching etc. In the fast expanding knitwear industry, around 98 percent of the fabric is made in Bangladesh, says Quasem. Such developments in reducing the gap between demand and supply of raw material, particularly for woven fabrics, is important in reducing lead-time. Quasem has also introduced metal detectors in the factory to make sure stray pins or needles do not get attached to the clothes being sent to exacting buyers like Mother Care which specialises in infant wear. But it is not just good safety measures or even good quality garments that capture a market that is flooded with competitors. Buyers are more globally conscious, they want environmentally-friendly garments and products that are made through ethical means. Far East and Quality Assured Ltd., both of which Quasem is a director, are together the largest exporter of ‘organic garments’ that is clothes that are pure, with fibres that are not genetically modified and their manufacture does not involve the use of pesticide or reduction of the water table. The factories also have their own effluent treatment plant, which treats the wastewater from production so that it is less toxic before it is disposed off into the water bodies of the country. Bonuses for good performances are constantly given to workers with good performance. Those who have completed three years in the factory get an extra bonus apart from the holiday bonuses. Quasem and his partners have decided to take it a step further with their upcoming Echotex Ltd which will employ all the ethical and environmental practices even more stringently with a winning formula: a great product, happy workers and an ethical, green factory will make a commercially sound enterprise which in turn will build a future. But even optimists like Quasem and many of his fellow entrepreneurs admit that the ‘silent revolution’ that they are anticipating is dependent on several factors. One of them is developing a pool of highly skilled workers which are in high demand but low in supply. The head of the International Finance Corporation – SouthAsia Enterprise Development Facility (IFC-SEDF) Bangladesh, Nepal and Bhutan and the Deputy General Manager, Deepak Adhikary, believes that one of the major factors that need to be addressed is training, coaching and mentoring of the workers and staff. The absence of this is playing a major role in slowing down the progress of the RMG sector in Bangladesh. In the present scenario, workers are mostly unskilled and uneducated. There are virtually no institutes to train workers so that they have better skills that also result in better paying jobs and greater efficiency. and cloth and also dyes it. Infrastructure, power and good banking facilities are also areas where Bangladesh is lagging behind. Frequent load shedding and poor roads are major obstacles in reducing lead time. Big factories have their own power generators, many of which produce surplus power but there is no system of sharing this extra power. Political stability obviously is also an essential factor for expansion. The declaration of the minimum wage for garment workers has also been a contentious issue. In the wake of painful price hikes of essentials the TK 1662 minimum wage seems way to low to satisfy disgruntled workers. The assembly point for workers at the factory. Sexual harassment of female garment workers by male co-workers has been a long-standing menace. According to Nazma, female workers are now stronger and more confident than they used to be before and have formulated ways to tackle the harassers. Even though regulations within a factory are now very strict where harassment is concerned, this is still a major problem faced by female garment workers. Deepak Adhikary emphasises on interaction and connection with the outside world as ways to expand the export market. In a market that is driven by latest fashion trends that are constantly in transition, Bangladesh has to delve into design development in order to establish original, local brands. Several design institutes have emerged in the industry with foreign and local experts to teach students as well as internships at garment factories. There is therefore a possibility of a substantial pool of designers in the future. The garments industry also suffers from a dearth of mid-level managers and training for such people is essential to modernising the industry. Few in this industry or connected to it will disagree that the time is ripe for Bangladesh’s garment industry to take full advantage of the goodwill it has earned in the international market over the last few decades. All the ingredients for a big bang are there: a huge supply of young, sincere, hardworking and easily trainable workforce, innovative, dynamic entrepreneurs and the ability to maintain high quality of product. A practical industry policy, greater infrastructural support from the government and opportunities for skills development can take our garments sector to unprecedented heights. Smaller factories in the middle of the city continue to have cramped factory floors. On the local front, an expansion of the industry in this scale will have a multiplier effect on the economy with a rise in ancillary industries as well as a huge increase in employment, purchasing power and thus a surge in demand for goods and services in our local markets. The idea of more and more people coming out of poverty is certainly an exciting one, which makes the ‘silent revolution’ theory all the more believable. Unit, packing Industries and many other businesses in relation to textile and Garments sector. Vision: To become a garments manufacturer of creative design – not dependant on buyers choice only, rather can amaze the buyers with own creations. Objective: The objective of Apparel Division is to attain and maintain the current International standard and pursue for exceeding the regional standard in all respect. effect a Total Quality Management (TQM). The quality to be achieved not only in the production output standard, but also in the ‘Compliance’ aspect. A supportive model of management system is to be implemented to make employees own the companies and feel homely while at work. rules, regulation and the norms. and shall not agree to any business where these responsibilities are ignored. c) The companies shall reject the use of child labor or forced labor. d) The companies shall not accept any form of discrimination whatsoever. e) The employees must enjoy the right to avail a healthy and safe working environment. The companies shall focus their maximum to the environment preservation aspect. Raw materials, chemicals and the processes used for production as well as the waste coming out is treated in a manner that best protects the environment. Their no action in any way should become a threat for maintenance of a high standard of healthy and risk-free environment. The companies also expect all associated with them in the related fields to follow the same and thus make the sector a citizen – friendly business environment. The Garments manufacturing units are producing a variety of high qualities woven items.Using modern machinery along with the guidance and assistance of foreign experts, the factories have reached at the TOP END in items of quality. As a result, the products have found access into Europe market. To achieve the international standard, initiatives and measures that have been taken are given in the succeeding paragraphs. Effective quality management systems are implemented with emphasis on extremely tight quality controls. Stating from procurement, the management remains vigilant till shipment to ensure the quality. Through out all production – related steps, from pattern making to sewing, washing, ironing and packing, lay down and standard procedures are followed. The companies’ quality standard is therefore not only meeting but also exceed the client’s expectations. To keep the plants safe from any unwanted electric hazard and exhalation, the use of Bus Bar system has been made. To diagnose and ensure the physical and mental health of the workers and staff, full time doctor, nurse and medicines have been made available in the factory premises. Organ gram of Classic Group Ltd.
(B) WRAP (Worldwide Responsible Accredited Production) Certified. (C) C-TPAT (Customs Trade Partnership Against Terrorism) Certified. 1) KENNETH COLE PRODUCTIONS INC, USA. 2) OVED APPAREL CORP, USA. 9) CATIVA TEXTIL INDUSTRIA E COMERCIO LTD, BRASIL. 11) JAYTEX OF CANADA, CANADA. 12) ROOTS CANADA LIMITED, CANADA. 14) TIMES SQUARE PRODUCTION S.A, PANAMA. 16) MARINER INTERNATIONAL SARL, FRANCE. 20) ALETOGA LIMITED, U. K.
23) BRANDS FASHION GMBH, GERMANY. 28) HORIZONTE TEXTIL GMBH, GERMANY. 30) AWGALLGEMEINE WERENVERTRIEBS GMBH, GERMANY. 37) PACIFCA ELEMENTS CO. LTD, BANGKOK. Performance of Classic Fashion Concept Ltd.
Classic Fashion and Concept Ltd. Comparison Between Last Three Years Performance Appraisal of Classic Fashion Concept Ltd. The Classic Fashion concept Ltd has got the investment backing of Classic Group. The goodwill of the Garments Sectors business and also the marketing channels and distribution resources are being used as far as possible. The experience, Office premises, Management and manufacture of Classic Group is a huge advantage for Classic Fashion Concept Ltd. The Quality of the products of Classic Fashion Concept Ltd. is better than most of the local RMG companies. Comparing the quality, the prices of the products are within the range of the target segment. Classic group is doing business for more than 20 years. Therefore, this may result in traditional thinking in the top management level. Their experience is rooted by Garments sectors which is a totally different product from FMCG. Even the other departments in the group which are providing services to the Classic Cartoons, have to understand the dimensions of garments in order to provide the standard of garments that it needs. May be for poor salary structure or weak corporate culture, the employee turnover rate is increasing in the whole Classic group. This is also affecting the Garments sector. The employees lack motivation and productivity among themselves. At present, there is no specialist Research and Development team in the Garments Sector. It has become a barrier in effective and efficient market research, new product development, corporate strategic planning etc. This BGMEA market needs lot of promotional communication in the market. It is an expense for the management. Not only Classic group, every management should understand how brand triggers sales and they should respond accordingly. This has been the problem of the local companies where they are falling back of the MNCs like Unilever who are doing it better. The Garments Sector is fully dependent on either the import or local buying of raw materials depending on the product. We do not have our production facilities. Due to difference in the business ways, Garments Sector is facing poor coordination among chain management from all other departments. They are not been able to deliver properly because they are trained for temporarily from other departments, This Sector needs specialists. 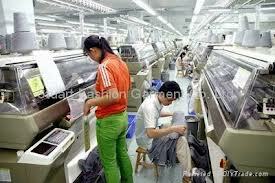 In order to maintain the product quality, Garments Sector lacks competitive pricing and pricing experimentation. Currently, the government is giving priority in expanding and promoting local agro-based business in the country. This is a huge advantage to any Garments business. The bank loans regarding the Garments industry has decreased due to government intercept to encourage the business. The society is changing. People are becoming very conscious about what they are consuming. This is a good prospect for Fashion industry. Now-a-days, people lack interest in Fashion. May be now the rate is very high, but it is increasing. It shows the prospect for BGMEA products. The number of dual income families is increasing at an alarming rate. The lifestyle of people is becoming faster and this leaves them with minimum time to spend in Fashion. Therefore, it is a huge opportunity for spices market. Our country is rich with Garments Sector. This can be used as a source of our raw materials needed for the manufacturing of Garments products. Globalization is a major factor for us to increase our market scope in the international arena. For Globalization, it is much easier now to enter foreign market and increase our exports to earn higher margin. It would also enable us to set up our office premises and our manufacturing plant elsewhere where it would be sustainable for us to create an MNC. In our country, the supporting industries are also growing at a faster rate. There is more number of local TV channels going international, new competition in the advertising, market tension, and other factors as well. These things would help us in our reach to our customers and also in other part of our business, for example, more number of TV channels and newspapers would mean more promotional activities and decreasing advertising cost. Globalization can also backfire. There are many corporate giants which are trying to enter our market. Being a third world country, our country is a market place for everything. Terrorists, smuggling, counterfeiting, product dumping and many other things. First world countries use our country by exerting pressure on our governments to sell their low graded products in our country. These products take away the market from our local products. But generally they are very low in quality. With increasing technology, our country being high in corruption, use those technologies in order to make fake products under different brand names. These technologies help these people to make similar kind of product and sell them by using the reputation and goodwill of those products. The Classic Fashion concept Ltd is a sister concern of The Classic Group. Therefore, the goodwill and reputation of the products and services is like a chain that is binding all of them. If there is any problem with the reputation and quality of any one sister concern, the effect would be on all of them. So all the concerns have to maintain the same standard. The current corporate giants are the biggest threats not only in terms of competition but also in ways of how they are exploiting or using the supplying industries for their own operation. This can be in terms of their cost of raw materials. They can use low quality raw materials and can easily cut their cost of manufacturing. This would give them a price advantage and greater profit margin. The unstable political condition is a big threat for any company. Sudden hartal or blockage may result in the delay or no distribution of products. It can also hamper the regular official work if there are any downtown abnormalities due to political issues. The corruption in the government can result in certain changes of rules and regulations. Any foreign company can easily bribe or can do heavy lobbying in order to enter the market with a product of better brand image. The political situation is a big factor in any industry. This is a general factor for all of the business entities as well as for the general public. Any political disorder results in problems of the organizations’ daily hazards. For example, hartal, strike etc can hamper the normal product distribution of Classic Group to the local or regional distribution. It is a general factor that affects any profit making organization. It explains the market demand supply, public disposable income etc. Classic Fashion Concept Ltd. would export product to other countries which has got people with high disposable income. The prices of the products are to be set accordingly. In the international level, few Countries have higher sales, higher profit margin and also higher distributors or trader profit. For example US, Russia, UK, Germany, India, Netherlands etc. This general factor is important because it defines the culture, rules and norms and other influences of the Society that the country is operated in. Classic Group cannot easily have higher profit margin because our society is not accustomed to habit of having Garments product. Classic Fashion Concept Ltd. is a Garments products manufacturing company. So technology is a big general factor for any Garments products manufacturing company. The machineries that are being used are a part of the technology. Different machines have different production capacity. They need trained personnel to operate them. So the training facilities come into play as well. The workers of the plant need to be aware of the upcoming technologies and their preliminary education is also a factor. Here comes the question of their payment. This shows how important technology is and how it is affecting the operation of the organization. The type of government in control is a major general factor. For example, in these days of Globalization, Foreign Direct Investment (FDI) is a general thing. But it depends on the ruling government. If the government welcomes foreign direct investment then it becomes a problem for the local companies because lot of foreign giants would come to dominate the market which is currently dominated by Envoy Group, Human and rich Group, Deco Group etc. Government lobbying is a very important factor in Bangladesh. The type of government is very influential and it can also affect the company, for example how corrupted the current government is or how high the transparency is. This specific factor prevails in any industry and for any company. It sets up the prices, shows the quality of the promotional activities of the industry, Quality of the product etc. On the other hand, Standard Group is so advanced in its promotional activities that are creating a huge gap in competition where Deco Group or Classic Group is not being able to compete. This specific factor gives the company the narrow direction that is should hold on to. To be specific, this factor gives the organization the phenomena on which to make the profit. It is as important as the name suggests. For Classic Fashion Concept Ltd. there are different target markets for different products. Like that Fashion Innovation Ltd., Design Inspiration Ltd. Classic Cartoons Inds. Ltd.different target markets. It is the population size, shape and overall estimation of the general population. No matter it is one of the most influential general factors for every market. It describes the population size and provides an estimation and calculation for the Market size. Dhaka has a population of 20 million, but that does not mean that 20 million is the market size of Classic Fashion. Our market size is within the population which is characterized and described by Demographics. It is specific for specific industries. For Classic Fashion Concept Ltd. the supporting industries are Distribution, Media, Software, Packaging agencies; Trade Market etc. these industries support the operation of Classic Group. For example, TV channels, Newspaper, Billboards and all other media enables Classic Group to communicate with the target market. Advertising agencies like paper rhyme and Carrot helps us build our product and prepare our communication and marketing plan. These are all different industries but it shows how importantly and closely they are related to our operations. We have talked about the supporting industries of Classic Group. Now let’s look at it from a general perspective. Supporting industries discussed in the specific factor are different industries which play very important part in the operations of other companies as well. They may be our competitors or our sister concerns. Now, from general viewpoints, how well or how differently other companies can use them makes a lot of difference in any industry. For example, let us look at how brilliantly they are being used by Unilever or Square, or even Ericsson or Nokia. This is changing the market about the effectiveness and efficiency of how well they are being used. These are difference making effects on the whole market and the overall business. This is very important for the companies as well as for countries in the international market. Talking about it in the specific sectors, let us take the case of Classic Group exporting products to UK. We have to take consideration of the income level, inflation rate, exchange rate between Taka and pound. When the inflation rate of UK is higher than that of Bangladesh, there would be high prices of UK products in UK. But compared to the UK local products, the prices of Bangladeshi products would be cheaper. Therefore, there would be an upward pressure on the demand for the Bangladeshi goods which also includes Classic Fashion products. This would also enable Classic Fashion to earn higher profits. On the other hand, if the exchange rate is high, for example 100 TK gives £1, then Classic Group would have certain amount of profit, but when it is !20 TK to £1, then the profit calculation changes. Now, this exchange rate is influenced by critical factors like Income Level between the two countries, Inflation rate, interest Rate, and also the economic factors of the two countries. In the Macro view, there are lots of things that can affect the exchange rate movement between two countries and also between the capital flows of the business operated in both the countries. These factors includes like Balance of Trade, Export, Import, Duty, Taxes, Quotas, Balance of Payments, Financial Aid, Current Account and Capital Account. These things affect any business both internationally and nationally. Buyers are the most important stakeholders because they are the key to our purpose of running our business. Directors are the persons who are responsible for the existence and continuation of the business. Classic Fashion is a private limited company so there is no question for shareholders. The government is another stakeholder because they are affected by the nature of the product we sell and our tax payment and our operations countrywide. Supporting industries can be our Banks and all other companies that provide their services to us. Payment is upon receipt of invoice or Letter of Credit. New Buyer must include payment with their samples; otherwise payment will be required before releasing results. Payments can be made by check, bank draft or Letter of Credit. Payment by American Express can only be made in US dollars. Please contact us for information or if you have any questions about calculating the charges for analysis or the status of your account. Dial toll free in North America at 1-800 990 2263 or dial 1-604 253 3158. To establish a credit account with Classic Group, please call us or send your request by e-mail for a credit application form. Classic Group reserves the right to limit the amount of credit to any Buyer. Classic Fashion Concept Ltd. Analytical Fashion Innovation Ltd., including its subsidiaries, will undertake to conduct and report all analyses in accordance with generally accepted analytical Fashion Innovation principles and practices unless deemed necessary in the reasonable judgment of Classic Group to vary from said principles and practices due to the nature or composition of the samples or to comply with regulatory requirements. Classic Fashions total aggregate liability arising from professional acts, errors or omissions shall not exceed the total fees for the services rendered. There will be no other liability, obligation or responsibility of any kind for losses, costs, expenses or other damages (including without limitation special indirect, incidental or consequential damages) relating to services or results provided by Classic Group. All results are strictly for the use of the Buyers; Classic Fashion is not responsible for any loss, damage or liability arising from any acts by the Buyers, its agents, staff or other consultants employed by the Buyer. All claims shall be deemed waived unless made in writing and received by Classic Group within 2 years following completion of services. All results are the confidential property of the Buyers. Classic Group assumes the following liabilities only: Actual cost of the analysis for errors attributable to Classic Fashion and $20.00 per sample for loss of samples during processing. Buyers must retrieve samples they consider to be of value. We have audited the accompanying Balance Sheet of CLASSIC FASHION CONCEPT LTD. DHAKA. As of 30th June 2010 and the related Profit & Loss Account for the year then ended. The preparation of these financial statements are the responsibility of the management of the organization.. Our responsibility is to express an independent opinion on these financial statements based on our audit. We conducted our audit in accordance with Bangladesh Standards on Auditing ( BSA). Those standards require that we plan and perform the audit to obtain reasonable assurance about whether the financial statements are free of material misstatement. An audit includes examining on a test basis, evidence supporting the amounts and disclosures in the financial statements. An audit also includes assessing the accounting principles used and significant estimates made by management, as well as evaluating the overall financial statements presentation. We believe that our audit provides a reasonable basis for our opinion. In our opinion, the financial statements prepared in accordance with Bangladesh Accounting Standards (BAS) and in compliance with International Accounting Standards (IAS) with reference to the notes & schedules therein give a true and fair view of the state of the company’s affairs as of 30th June 2011 and comply with the other applicable laws and regulations. (d) The expenditure incurred during the year was for the purpose of the company’s business. We have audited the accompanying Balance Sheet of CLASSIC FASHION CONCEPT LTD. DHAKA. As of 30th June 2011 and the related Profit & Loss Account for the year then ended. The preparations of these financial statements are the responsibility of the management of the organization. Our responsibility is to express an independent opinion on these financial statements based on our audit. (h) The expenditure incurred during the year was for the purpose of the company’s business. We have audited the accompanying Balance Sheet of CLASSIC FASHION CONCEPT LTD. DHAKA. As of 30th June 2012 and the related Profit & Loss Account for the year then ended. The preparation of these financial statements is the responsibility of the management of the organization. Our responsibility is to express an independent opinion on these financial statements based on our audit. In our opinion, the financial statements prepared in accordance with Bangladesh Accounting Standards (BAS) and in compliance with International Accounting Standards (IAS) with reference to the notes & schedules therein give a true and fair view of the state of the company’s affairs as of 30th June 2012 and comply with the other applicable laws and regulations. (l) The expenditure incurred during the year was for the purpose of the company’s business. Human resource planning consists of how many and what categories people need for achievement the goal of an organization and per forming tusk efficiently. In an organization there are various types of people works, so it is needed to plan their activity. Every organization must have a human resource planning, without it no organization cannot operate it s function efficiently. Human resource planning helps management find the right people for the right job at the right time. Human resource planning attempt to match demand and supply of the employee in the organization. Human resource planning is critical to the success of companies because Human resource is the essence, the lifeblood of an organization. Recruitment is the selection of large number of people, how many people needed in an organization that surplus terminated, shortage new employee should be employed. New and qualified people are selected by recruitment. It is an instrument to attract qualified candidates to select right people for right job. Recruitment occurs before selection of employee. Recruitment involves searching for and obtaining qualified job candidates in such numbers that the organization can select the most appropriate persons to fill its jobs needs. It paves the way for selection procedures by proceeding smallest number of candidates. Recruitment is the set of activities used to obtain the organization most important assets, its human resources. It has a magnificent role in the organization; it can lead an organization to the path of success by selecting qualified employees. So, the recruitment process must be done in compliance with legal regulations. Human resource division takes the responsibility to recruit the qualified people for the organization who can contribute most for achieving the goals. Meeting the demand the current need of employee for achieving the long term and short-term goal of the organization. Replacement of the vacant position. Advertisement in the Daily Newspaper. Internal source: Internal source Include – promotion, transfer, job rotation. Classic Fashion gets awarded from WRAP Certificate in 2010-2011. So every activities relating to recruitment and selection of employee in this company must be documented. Step -1: Existing vacant position should informed to the Human Resource Division through divisional head in personnel requisition form referring job specification and job description for recruiting the best person. Step-2: Head of Human resource Department approved by the Management. Step -3: Advertise in the daily newspaper, online or internal announcement. Step -4: Human Resource Division and concerned department receive CV and applications from the interested person. Step -5: After screening short listed candidates are invited for the interview by telephone or mail. Step -6: Invited for written test for the potential candidates. Step -8: Concerned departmental Head and Human resources divisional head discuss performance ratting and complete recruitment process with the approval of top Management. Step -9: Selected candidates informed about their selection and asked to report to the head of the Administration for salary negotiation. Step -10: Acceptance of offer, candidates will be given all papers or recruitment to that returned to human resources division. Step -11: Completing recruitment formalities duplicate copy of appointment letter will be signed by candidates and returned to Human Resources Division. Step -12: Completing recruitment formalities duplicate copy of Appointment letter will be signed by candidate and returned to human Resource Division as acceptance. Step -13: On the joining the incumbent sign joining letter that is returned to Human Resource Division. Step -14: Head of the Human resources division check original certificates. In conclusion of above given information, it’s very clear that The Classic Fashion Concept Ltd. Company’s product sale is rapidly growing day by day. They have a very good strength in Marketing Management and promising to take the brand image. They could be able to hold their position on rank within short period of time. I wish the success of the company. After finishing the report, I have gained some valuable experiences. I have learned different activity of Classic Fashion Concept Ltd. Like, Physical Supply Channel, Vendor Selection, Physical Distribution Channel, Raw materials/components, outbound logistics of product transportation, how pull & push strategy works for Classic Group etc. Specific performance standards should be communicated to employees. Objective and uncontaminated data should be used whenever possible. Ratings and traits such as dependability, drive or attitude should be avoided. Employees need to evaluate on specific work dimensions rather than on a single global or overall measure. Need to increases reliability in ratings, more than one independent evaluator should be used whenever possible. Employees need to given the opportunity to review their appraisal. Raters should train to prevent discrimination and to evaluate performance consistently. Appraisal need to frequent, offered at least annually. Performance expectations need to be communicated at the beginning of the appraisal period. Need to focus on facts. 04. Lesikar, Business Communication, 11th Ed. 2012-2013. 05. Md. Amran Hossain Patwary, Sr. Accounts Officer, Classic Group. 06. Md. Alam, Sr. Accounts Officer, Classic Fashion Concept Ltd.
07. Md. Akteruzzamen, Finencial Manager, HRM Depertment, Classic Group.